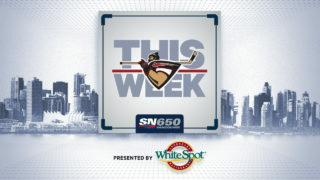 Tonight in Langley the Vancouver Giants take the ice for their fifth pre-season game. 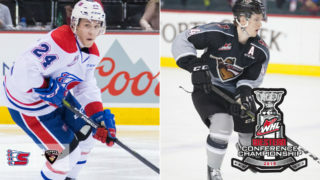 After dropping a 5-3 decision last night to Victoria the Giants look to get back in the win column when they battle the Prince George Cougars. 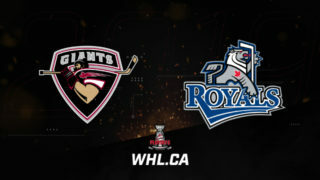 This marks the second game in as many days for Michael Dyck’s Giants and their second of what will ultimately be three games in a span of three days. Tyson Upper: The 2001-born forward has been one of the big positive stories to come out of Prince George during the 2018 pre-season. He signed with the Cougars on August 31st after attending their Training Camp on an invite. He leads the Cougars with two goals and an assist for three points in two pre-season games so far. Josh Curtis: 20-year-old forward Josh Curtis is one of the two over-agers currently on the Cougars roster. The Winnipeg, MB native dressed in all 72 games last season for the Cougars and posted nine goals and 27 assists for 36 points. He has yet to suit up in a pre-season game in 2018. 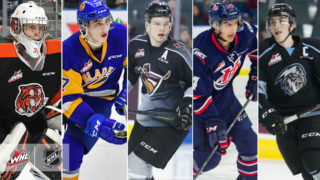 Ryan Schoettler: The 19-year-old is entering his third season in the WHL and will be looking to build off his impressive eight goal, 23-point campaign from a season ago. On a young Cougars team, Schoettler’s experience and strong two-way play will be of vital importance. He’s one of the undisputed leaders for Prince George. Rhett Rhinehart: Heading into his sophomore campaign, Rhett Rhinehart will be one of many young players on the Cougars blueline that will be garnering positive attention from NHL scouts. 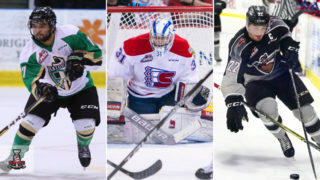 He was the center-piece in a trade deadline deal back in January that sent Kody McDonald to the Prince Albert Raiders. Taylor Gauthier: Fresh off a gold medal at the 2018 Hlinka Gretzky Cup, Taylor Gauthier is ready for prime time. He’ll likely get a bulk of the work this season between the pipes and should be poised to hear his name called in the early rounds of the 2019 NHL Draft. Last season he went 8-18-1-2 with a 3.96 goals-against-average and an .885 save percentage. Matej Toman: The fifth overall pick in the 2018 CHL Import Draft brings a hard-working, skilled presence to the young Prince George Cougars. He’s registered an assist through two pre-seaosn games so far, but figures to be a focal point of the Cougars offense this season. He’s eligible for the 2019 NHL Draft. 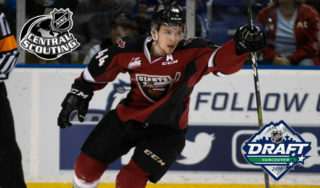 James Malm: The 19-year-old Langley native led all Giants last night with a goal and two assists. He factored in on all three of Vancouver’s goals against the Royals and looked great alongside linemates Yannik Valenti and Jared Dmytriw. He had 66 points a season ago which ranked him third on the team. Yannik Valenti: The talented German forward struck twice in last night’s game and looked comfortable and right at home alongside James Malm and Jared Dmytriw. Valenti lacks no shortage of offensive confidence and tonight he’ll look to build off last night’s success. Bowen Byram: The 17-year-old registered an assist and was a +1 in last night’s game. So far he’s snagged two assists through two pre-season appearances and has been his usual steady self on the back-end as well. Tonight he’ll likely log major minutes again in all key situations. Braedy Euerby/Drew Sim: Tonight the two young netminders will split the goaltending duties for the Giants. So far, so good for the two young netminders. Euerby is 1-0 with a 1.94 goals-against-average and a .917 save percentage while the under-ager Drew Sim has a 2.06 goals-against-average and a .909 save percentage. Special Teams: The penalty kill last night went a perfect seven-for-seven but the power play was scoreless in five opportunities. The Giants power play is still clicking at an impressive 21 percent for the pre-season, and tonight they’ll look to win the special teams battle when they clash with the Cougars at 7 PM.